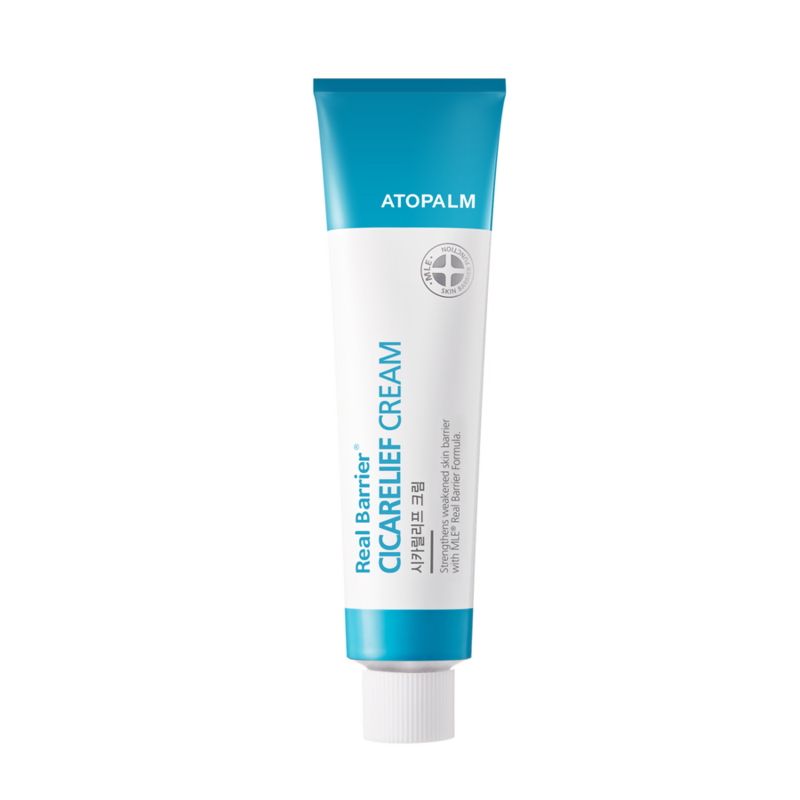 Real Barrier by Atopalm is a favorite among Atopalm customers. Featuring the same MLE found in all our products, Real Barrier takes skin care a step further with other moisturizing ingredients, as well as a unique three-calming complex that soothes and comforts skin. We are pleased to announce that we are adding three brand new ingredients to our Real Barrier line, only on Atopalm.com! These new products have some of the most advanced formulas we’ve ever offered, still utilizing MLE and Real Barrier’s three-calming complex. That’s not all, though — read on to learn how these three products offer unique benefits to treat a variety of skin types and concerns. Cicarelief Cream is a deeply healing and reparative cream formulated especially for compromised skin in need of special care. It uses MLE, panthenol, calamine, and madecassoside to soothe and promote healing in skin that has been damaged or irritated by dermatological procedures or environmental aggressors like poison oak and ivy, sunburn, and more. Read more about Cica Cream to learn if it’s the right moisturizer for you. Deep Moist Cream features MLE, vitamin E, snow lotus extract, and an advanced blend of oils including green tea, macadamia, jojoba, sunflower seed, olive fruit, sweet almond, bergamot, sage, eucalyptus, and peppermint. This varied blend of ingredients provide excellent moisture and protection against irritation, all while fighting free radicals with antioxidants and supporting a healthy look and feel. Read more about Deep Moist Cream to find out if it’s the right moisturizer for you. Deep Moist Lotion boasts the same extensive ingredient list as Deep Moist Cream, with a lighter-weight texture that’s great for normal, combination, and even oily skin types. You’ll still gain the same incredible moisturizing and protective benefits, but you’ll be able to choose which texture suits your skin best. Read more about Deep Moist Lotion to find out if it’s the right moisturizer for you.